These are platinum quality reproductions of Eero Saarinen's 1956 Tulip Table from his iconic 'Pedestal Collection'. Available in Carrara Marble, White Marble or Walnut veneer in 2 sizes ( 90 cm or 120 cm ø diameter), the genuine Marble or Walnut Veneered top sits firmly and evenly atop an engineered Aluminium base with a multi-layered paint finish. 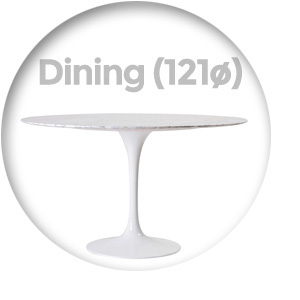 The Tulip Table Round by Eero Saarinen (Platinum Replica) comes with a Five (5) Year Warranty free of additional charge. Please Note: This is a heavy and bulky item. You must have 2 or more able-bodied persons at your delivery address to receive your goods. This is your responsibility. If this is not possible, please ask us to source a specialist removalist service in your area who can give you a quote for delivery. 100% Saddle Leather imported from Brazil. Made from thickened premium grade PU Synthetic Leather with realistic leather grain, feel and sheen. 100% Fibreglass. This product is constructed from high-grade moulded fibreglass. Inferior versions are made from ABS plastic or Polyurethane. 100% Fibreglass frame. This product is constructed from high-grade moulded fibreglass. Single piece mold in high grade ABS material. All surfaces are 100% leather (not just contact surfaces) (Leather options). All piping, buttons and straps are 100% leather (not synthetic match) (Leather options). Cushions are Engineered Multi-Density Foam. This premium quality foam ensures both superior cushion shape & fit, and high durability and cushion life. 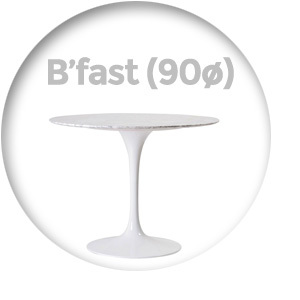 Die-cast 'chip and flake' resistant Aluminium base. Quality hardwood frame is Kiln dry stabilized to prevent warping or cracking. 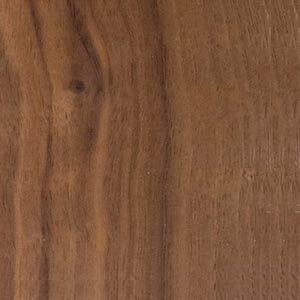 Veneer features 7 plys of cross grained quality hardwoods and is Kiln dry stabilized to prevent warping or cracking. Sturdy Hardwood frame with Oak veneer in Wenge finish. Contemporary design that draws on Modernist / Internationalist eras. 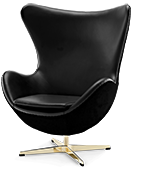 You probably already know how famous this chair is, though if not, it is an understatement to say it is an iconic (and revolutionary) design from the Modernist era. Traditional design with contemporary stylings. Offered in Woven Fabrics (e.g. : Tweed), as per the original. 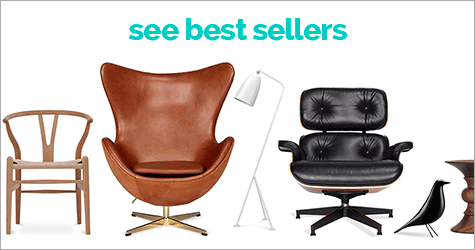 Upholstered in premium grade Fabrics or Leathers. Offered in premium grade Leathers, imported from Italy. Offered in premium grade Italian and Aniline Leathers. Stainless Steel frame (#304) has been hand polished to achieve a mirror-like sheen and is pre-stressed for additional strength. High density cold cured foam padding is pre-molded into shape (like a car seat), not just loose foam squished into a cushion. Available in Left (L) or Right (R) Corner combinations. Smooth 360° full circle swivel action. Choice of High Gloss or Dulled Matte finishes. Choice of genuine Ash or Walnut timber legs. Choice of genuine Oak, Walnut or Rosewood Palisander constructed Plywoods. Buttons are deep-set into cushions, creating authentic wrinkled effect, as per the original. Firmly attached deep set buttons, as per the original design. Bases come with rubber shock-mounts and adjustable Stainless-Steel glides. Materials (e.g. : fine leathers, differing cow hides, marbles or woods) may display natural differences, imperfections or variations reflective of individual character. The Oval shaped Dining Table is a separate product listing. These are platinum quality reproductions of Eero Saarinen's 1956 Tulip Table Series in a round shape. Available in 3 sizes (52, 90, 120 cm ø diameter), the genuine Marble or Walnut Veneered top sits firmly and evenly atop an engineered Aluminum base with a multi-layered paint finish. The Oval shaped Dining Table is a separate product listing. We had purchased a tulip table previously and got rid of it because of the wobble. We purchased this table and completely in love with it and its sturdiness. Great marble, solid base and super easy to assemble. Wonderful table and exquisitely made and finished. 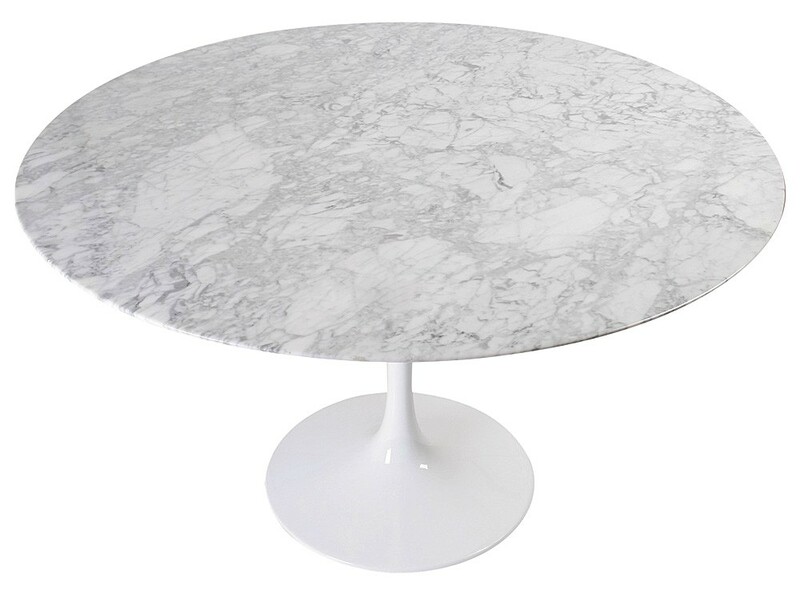 The Carrara Marble is perfect and our dining room has come alive. Thank you.